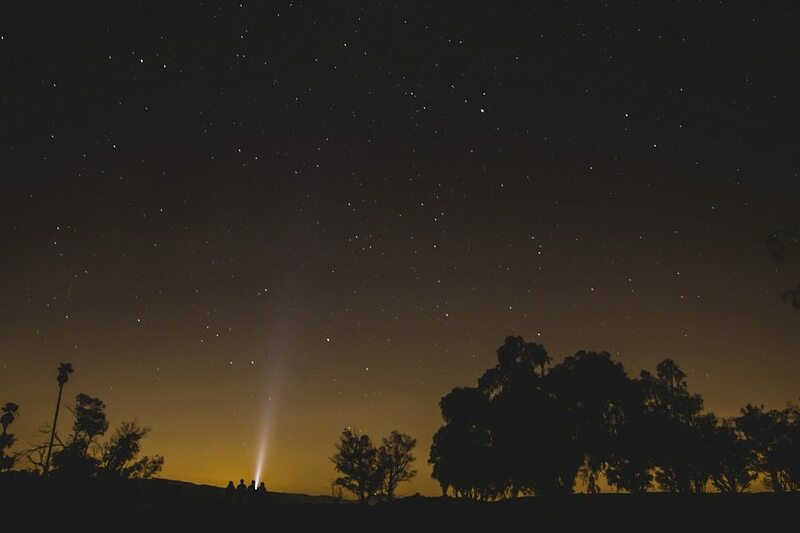 Flashlights, believe it or not, are one of the most forgotten items when people go hiking. If you have forgotten your flashlight before, we don’t blame you. When you only need something for certain times of day, and you already have one on your phone, it sometimes gets left behind. That being said, a flashlight is really important for late night hiking and camping, for two reasons. One, it helps you to see things in the dark so you can be safe. The other, is for shadow puppets. If you like things old school, then stick with a regular flashlight. You know, the kind that your parents used to keep above the refrigerator in case the power suddenly went out. Nowadays, you can probably find one that has much more battery life than when you were a kid. But, just to be safe, go for the Fenix TK15UE Flashlight, which uses CREE XP-L HI V3 Technology. This allows you to shine your light 1000 feet ahead of you, and brightly, too. If you’re one of those people that would leave your head behind if it weren’t attached, then a headlamps might not be for you. After all, they do strap to your head, so if you forget that, you’re going to have some problems. Realistically, though, headlamps are super easy to use because they are hands-free. Just strap it on, and you’re good to go. Headlamps aren’t too hard to find in any outdoor store for an adult. However, if you’re looking for your child who wants one they’ll love, get them the Princeton Tec Byte Headlamp. It’s easily adjustable and safe for a child’s eyes. Lanterns are a good idea to bring to the backcountry if you plan on remaining stationary. They’re good for small groups, as you can just set it down in the middle and see what’s going on around you. While they’re not quite the same as a flashlight, they perform the same job. Most lanterns are also easy to carry or hang, too. A good choice of lantern is the Black Diamond Voyager, which is quite versatile for the active hiker. Or, take a look at the TaoTronics Collapsible Lantern, which has a lot of “flexibility.” It can even fit into your pocket! For lightweight backpackers who want to play it safe but want to keep their load at a minimum, you’ll need a compact flashlight. Compact just means that it’s easy to transport as it won’t take up a lot of space in your bag. Contrary to popular belief, compact flashlights can actually do a lot. The Fenix MC11 Angle Light is a good choice. Again, not quite flashlights, but safety lights can flash or give off light in order to let others know you’re around. If you forget your flashlight, you might be okay, but actually, forgetting safety lights can be more of a risk. If something were to happen to you, it allows search and rescue teams to be able to spot you. Safety lights come in all different forms, including armbands, zipper attachments, or straps for shoes. But, for this one, we’re going to recommend these clip-on lights from Amazon. You can clip them on wherever feels comfortable, and they come in a two pack with different colors to choose from. With all the different flashlight types available, you should have no problem finding one that fits your needs. Though it can be bothersome to spend a lot on something you won’t use that often, spending more will ensure you won’t forget it at home. Plus, you never know when you might need it!